In 2012-2013 we were delighted to launch the Digital News Report 2013: Tracking the Future of News edited by former Fellow Nic Newman and RISJ Director David Levy, in both London and Paris. The ground-breaking report covers developments in the UK, US, Denmark, France, Germany, Spain, Italy, Brazil, and Japan. It attracted coverage in more than 50 media outlets including the Guardian, The Economist, the BBC, The Times, FT, Le Monde, Indian Express, the Economic Times (India), the Hindustan Times (India), Der Standard (Germany), Politiken (Denmark) and The Taiwan Sun. 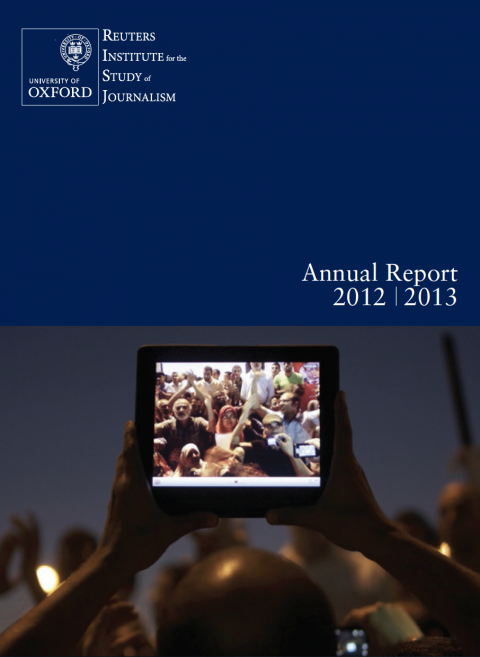 View the Annual Report 2012-2013 below or download the PDF file at the bottom of this page.